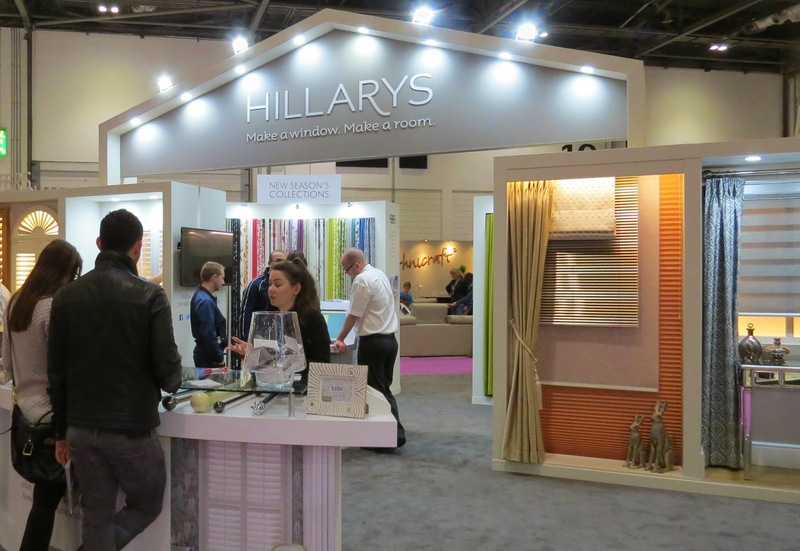 At the weekend, Boyfriend and I had the privilege of hanging out at the Grand Designs Live exhibition at Excel London, thanks to the lovely people at Hillary's Blinds, who asked us to attend and report back on the event. Cheers Hillary's! This was something of a contrast to the last time that the two of us spent the day at Excel, back in February, for The Baby Show, but actually, the stands that caught my eye still met the same criteria, and reflect the same interests that provide the basis of this blog: convenient, cost effective, sustainable and eco friendly - but design conscious and innovative. 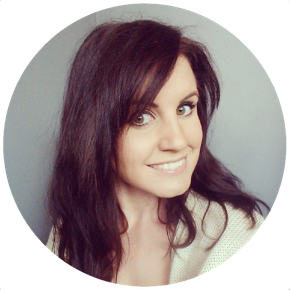 I'm all about living well on a low budget, with the least cost to the environment - so from reusable nappies to loft insulation made from recycled denim jeans - the leap wasn't as significant as it might appear! 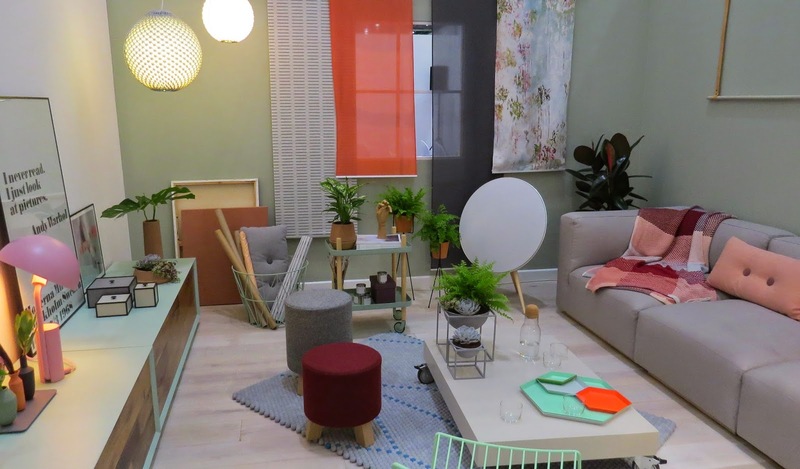 Boyfriend has been up to London recently for the Ideal Home Show, which is, in many ways, comparable to Grand Designs Live, and he can say confidently that GDL is significantly better if you've gone specifically to look for design-lead home and building inspiration. The IDS, boyfriend explains, is far more vast in it's offering, with everything from hot tubs to women's fashion on display, and it tends to lack any real focus. As a builder/carpenter/plumber, GDL far better catered for his (professional) interests, but I was still entertained, searching out cool new eco ideas, and obsessing over things I can neither afford, nor demonstrate any need for. At one point I became entirely absorbed by a hanging swing full of the plushest cushions, that I was tempted to just order one (with free bistro dining set) regardless of the fact that I neither have any disposable funds nor a garden. In fact, the Gardens Area proved to be an unexpected hit. Living in a second floor flat I didn't expect to be interested in the slightest, but it proved a fun opportunity to marvel at the things some people do have - a giant wicker apple that you can sleep in, or a £300 nozzle for your hosepipe. 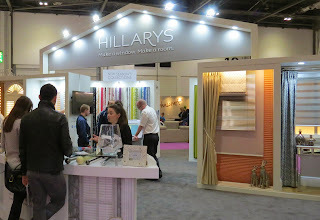 There were a number of familiar stands, including, or course, the Hillary's stand, which couldn't be missed in the centre of the exhibition space! I also came across a number of ideas and products that I'd never heard of before. 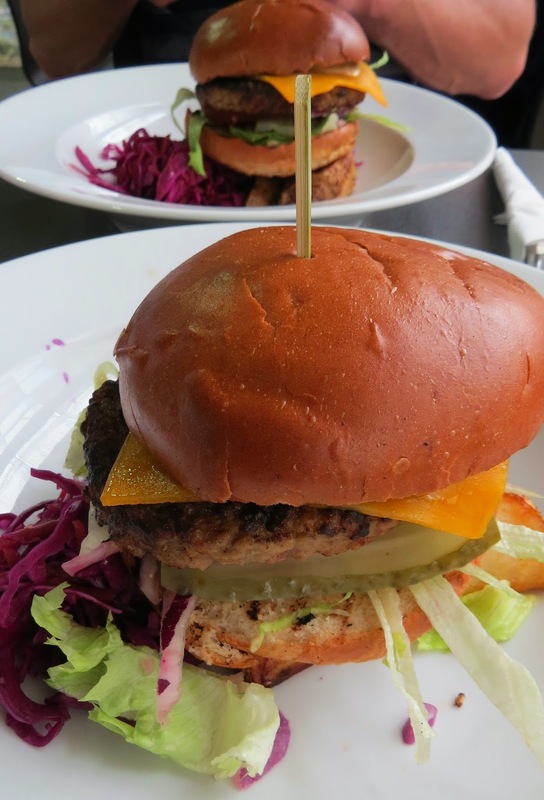 And the slaw that came with my burger at lunch was immense. 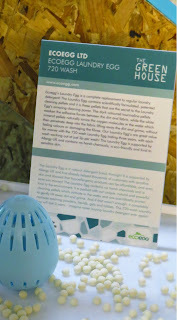 I'd already heard of EcoEgg, and this actually proved to be our only purchase from the day. I'm all for saving money, and being kinder to the environment, without having to make huge sacrifices - and this product has it all. This small plastic egg needs to be filled with non-toxic, natural mineral pellets, which act instead of detergent. One bag of pellets lasts 720 washes, which the manufacturers suggest will last around 3 years for the average family. THREE YEARS, without having to buy washing powder. Thanks to an on-stand deal, we actually got the equivalent of over 1000 washes, for £19.99. That means that for less than 20 quid, I won't have to buy laundry products for around five years. What's more, because the mineral pellets are all natural, there are no harsh chemicals at all entering the water system. You don't need to use fabric conditioner with these, as they actively soften your clothes themselves, and they also preserve colours for longer, so you won't have to replace your clothes as often, or by colour catchers. 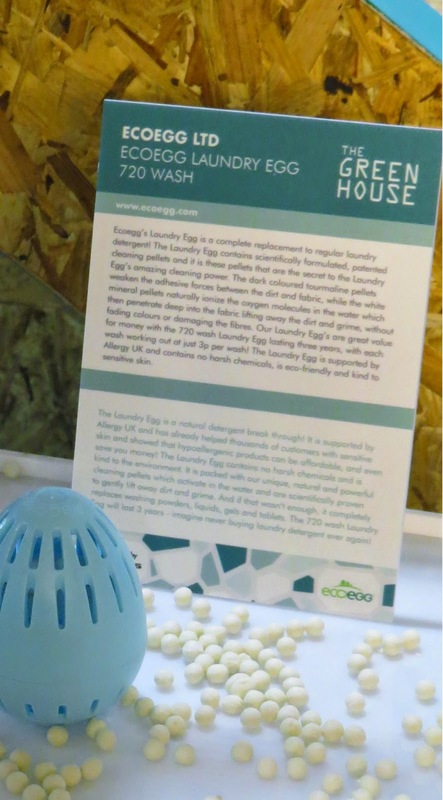 EcoEgg is recognised by Prima Mother & Baby as the best solution to washing baby clothes, is recommended by the Reusable Nappy Association for nappy washing, and is approved by the National Eczema Society and Allergy Friendly UK as being safe for use by those with extremely sensitive skin. Look out for my review coming soon! I'm all for saving water. If you're on a water meter, then saving water that you don't actually need to use is a simple way to save money. This little device is really simple, but pretty clever. The Ezy Peezy clips on to the inside of your toilet bowl, and you use the toilet as usual. However, the device works to constantly remove traces of urine from the water in the toilet bowl, meaning you don't have to flush. The Ezy Peezy will break down the urine, remove the colour, and any odour, and leave you with clean water without flushing - so you only have to flush, ahem, solid matter. Once used the Ezy Peezy unit is 100% recyclable. The shower in my flat is pretty pants. It doesn't ruin my life on too regular a basis because I tend to be more of a bath person, but as I get more and more pregnant, the shower is easier for washing my hair. However, this shower was never intended to be the main mode of washing in this flat, and what I have is a rather poor "over bath" shower attachment that doesn't provide the most satisfying shower experience. This is why I'm quite tempted by the eco camel shower head, which replaces your normal, boring shower head. I'm not going to go in to the science in great detail but basically, the eco camel draws air in to the flow of water, causing the pressure of your shower to increase, but the amount of water you're using to decrease - so you get a better shower experience, and actually use 70% of the water you'd usually use. Another update to my bathroom I think (I'm in rented, so can just swap the shower heads back when I leave - at £24.99 this is a great trick for tenants blessed with a rubbish shower that their Landlord has no interest in replacing!) The eco-camel is great for your purse, as it'll cut the amount of water that you use to shower, and great for the planet too as it cuts your energy usage considerably. I didn't know a lot about the use of hemp in building before now. Hemp in general is a product which excites me as it's so quick and easy to grow (illegal to grow without a license but still, it's a good sustainable product for those allowed to grow it) and has a million and one uses, what's more, it's perfectly suited to growing here in the UK. Many people will be familiar with hemp in cosmetic products, The Body Shop have had a hemp skincare range for as long as I can remember. Hemp is also used to make clothing and has a less hippy-ish reputation in that capacity now than in the past. Hemp is also super absorbent, a bit like bamboo, which has made it a very popular material for making liners and boosters for reusable nappies. In building however, it would seem that hemp is the up and coming star for use in plaster, as a sort of breeze block replacement, a plasterboard replacement, and as insulation. Boyfriend spends most of his time converting lofts, and is full of complaints about Rockwool insulation, which is more commonly used; mainly, it makes you itchy, sneezy, and is generally horrible to work with, whereas hemp insulation is much nicer for those working with it. Using hemp insulation can also completely combat the appearance of (and damage caused by) damp and mould, it's breathable and it works as a rodent and insect repellent. So, not only is hemp a more sustainable and gentle building material, but it also has the potential to safe homeowners a fortune in future repairs, caused by water or pests. 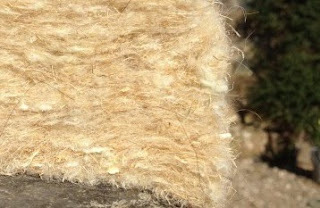 We also learned about sheep wool insulation, and wood fibre insulation, both far more environmentally friendly than Rockwool. 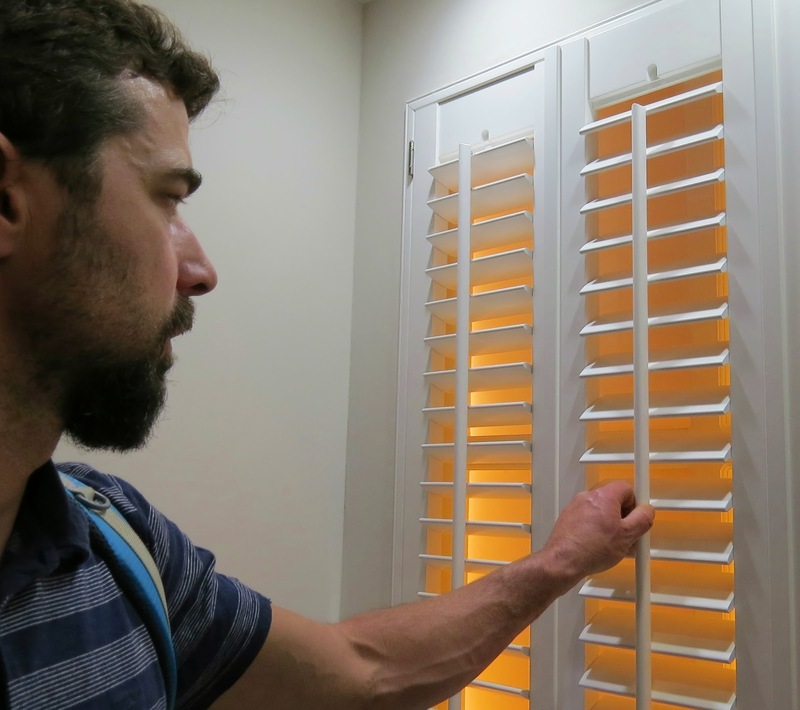 I live in a flat, and a lot of my friends live in flats, or small houses, and have the stress of cycle storage. In fact, a lot of people decide not to own a bike, simply because they don't have anywhere to store it. I have a Pashley Brittania bike which lives at Boyfriend's house simply because he has a locked shed, and therefore my bike, which might, potentially, be my most expensive possession, is safe. However, it's also not used, because it's there, in a shed that I don't have a key for. 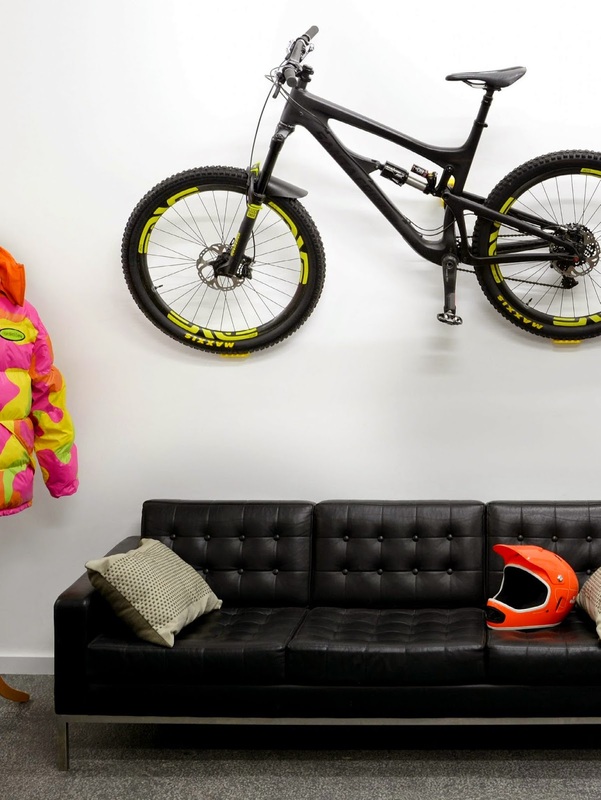 I am now seriously lusting after a Cycloc bike storage unit. Basically, it's pretty funky, it's made from recycled materials, and it means you can display your bicycle in your home, out of the way - and let's be honest, my bike is a thing of beauty - I also have a mahoosive empty wall in my lounge, and the Pashley would potentially look very cool indeed up there. If the Cycloc allows more people living in smaller accommodation (especially in cities) to own and use a bicycle then that can only be a good thing - for their pockets and the planet. This is a simple and rather obvious product but I love it. In the flat, I don't have great clothes drying options. Basically, everything goes on an airier, or any other available space I can find. This isn't ideal as we enter the world of reusable nappies, but alas, all is not lost. The luxury of being a two-house-family means that I also have the facilities at Boyfriend's place at my disposal. This includes a tumble dryer (boo hiss, but sometimes needs must) and a garden. We've decided that Boyfriend will replace the current rotary washing line, as it's seen better days, and it's replacement will allow us to ordinarily dry nappies outdoors in the good clean sea air. Only problem, of course, being weather. The rotaire dryline is basically a roof for your washing line. That's it. It's weighted at each edge so that it won't blow away, and has mesh panels to allow air in and out, but to keep nappies and clothes hanging on the line, dry from rain. This means we'll be able to save money and eco-points on reducing our dependence on the tumble dryer, and use reusable nappies with convenience. 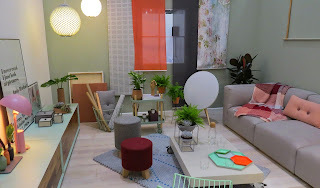 And that about rounds up my show favourites - have you visited this year's Grand Designs Live? Let me know what you thought. If you've found any great little money and planet savers lately please let me know! These are all products that I either bought, or am planning to buy, as a result of coming across them at Grand Designs Live. I was not asked to specifically include any of the products in my show roundup.